I was blissfully unaware that there was such a thing called a Cashmere farming. Living in my own world, right?? Well thankfully I had Nora from Chianti Cashmere Goat Farms to help me. Chianti Cashmere is a privately owned goat farm by Dr. Nora Kravis- an American goat whisperer who’s been living in Italy since 1972!! 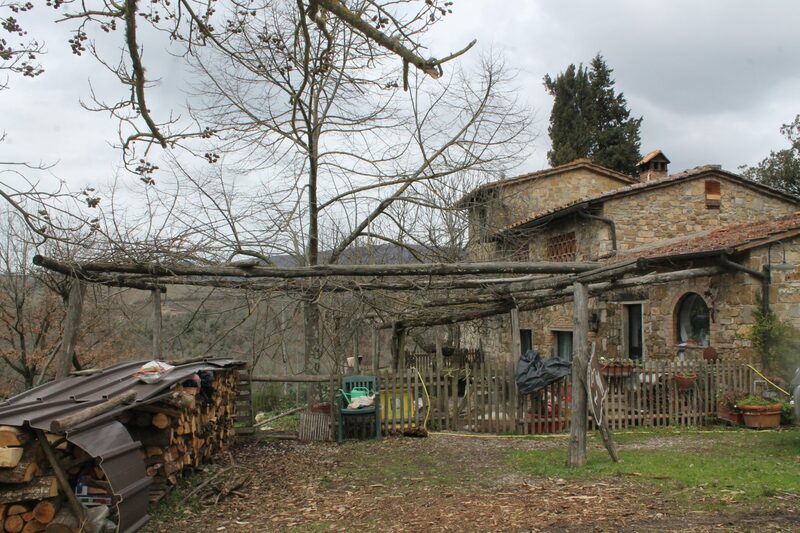 The goat farm started in 1972 (YES, REALLY) when Nora bought this country house (below) in a magical part of Italy. Nora, a passionate goat lover, started the goat farm at a time when rearing of goats was not as widely known. Being a woman, the Italian bureaucracy made it harder for her to keep at it but her relentless spirit and logical attitude made her come this far. Today it is the largest Cashmere Farm in Europe! Nora is very fond of her goats and her veterinary skills shine through when you see her with her babies. I happily preferred the chance to see them from afar since I’m no goat lover. 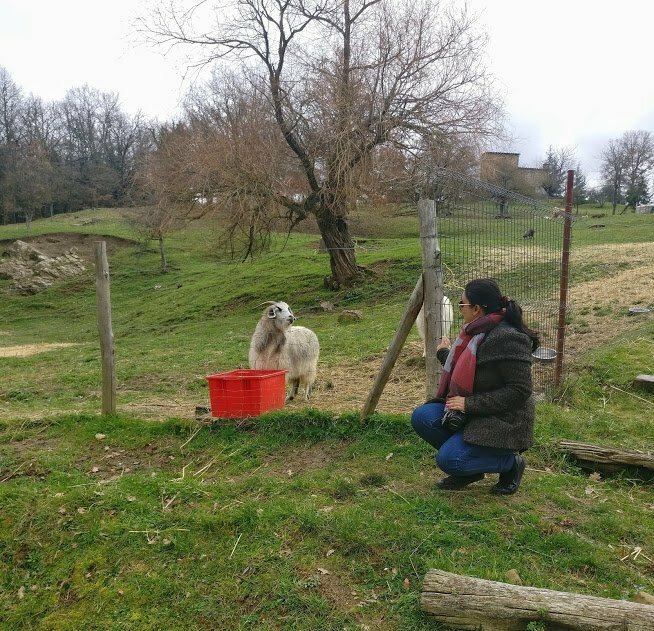 It was definitely something out of my comfort zone but I still enjoyed the way Nora was with them and explained about rearing of the goats, shedding of the hair and sustainable and ethical standards of Chianti Cashmere. The best part of meeting Nora was her energy and vigor towards the cause of “Adopt a Kid” where for an amount of EUR100 you can adopt a baby goat! Not only will you be offered some goodies at your mailing address in exchange for this but also updates about your “kid”. Apart from this, Nora has a lovely store to buy high quality cashmere designs for children and adults alike. All kinds of beautiful “Made in Italy” products are part of this store! Nora also offers farm stay in her property and invites people to help her with the rearing during high season. 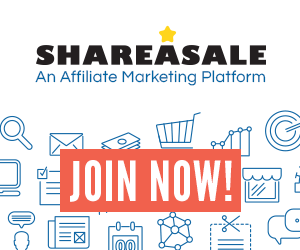 For more details check here. Chainti Cashmere farm can be reached by car only. It is about 5 kms from Radda in Chianti and an hour’s drive from Florence. For more information email on the stay, email Nora at info@cashmeregoatfarm.com or check the Tuscan tours offered by KM Zerto Tours. PS: if you can’t “like” this post on WordPress, it is due to some technical issues. Please drop a comment after reading. Great place and exciting to see the cashmere being handled with such love. Thanks. Aren’t they so cute, and a great cause too. I understand, it’s a technical issue with the theme. You can like from the Reader though 😘 Grazie! Yes. I’d heard about this farm and even seen a film on it on Italian TV. Your post has really enticed me to visit it soon. Thanks! What a great place to visit. You do find the most interesting spots! Aw thank you Darlene. Have a great evening! Thank you for this wonderful article. Tanti saluti! No it is from goats 🙂 Maybe the cashmere from a sheep is different. Thanks! Interesting visit. Amazing little creatures – beautiful wool, great cheese, and their milk is supposed to be the closest to human’s and better for us than cow’s milk from what I have read, but I stop at the cheese and sweaters. Thanks Karen 🙂 The store was so pretty and the best part is that its all local. I love such places! That’s so cool! Yes it is, Italy surprises us in many ways.